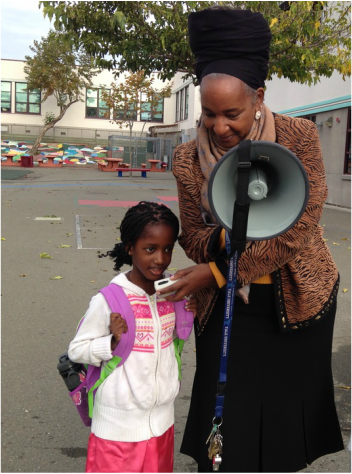 I was born and raised in Oakland and attended OUSD schools through K-12. I am a graduate of Skyline High School. I received my B.S. degree in Political Science from Santa Clara University, my Teaching Credentials from Cal State East Bay, UC Berkeley and University of San Diego, and my administrative credential with New Leaders for New Schools through Cal State East Bay and Boston University. My pride outside of teaching is my husband and our six children. Our children all attended public schools and are making us proud. Our children are now college students and graduates and are starting to feel good about the contributions they are making to society and becoming successful young adults. For all of my students at Piedmont Ave I want the same. I want them to gain the knowledge and skills to one day become independent young adults that make positive contributions to society and be able to reflect back on their lives with joy.